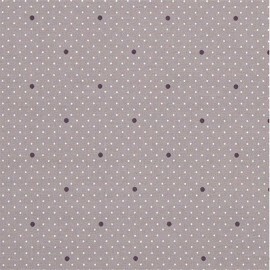 Very nice Dottie Dot coated fabric with white and purple dots. Fall for this beautiful Oeko-Tex certified cotton fabric, with misty rose background and a glossy finish. Decorate your home or make accessories with this countryside style coated cotton. 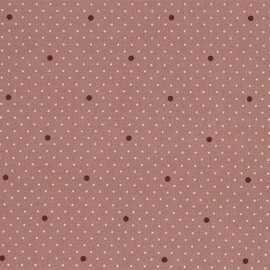 Very nice Dottie Dot coated fabric with white and burgundy dots. 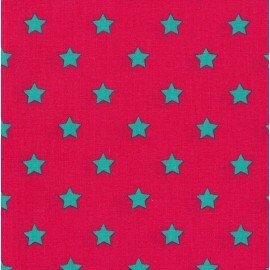 Fall for this beautiful Oeko-Tex certified cotton fabric, with pink background and a glossy finish. Decorate your home or make accessories with this countryside style coated cotton. 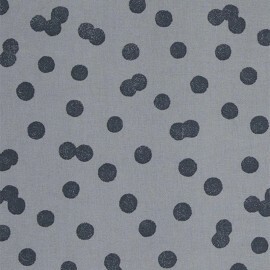 Very nice Dottie Dot coated fabric with grey dots. 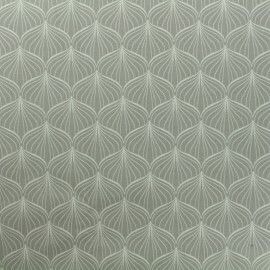 Fall for this beautiful Oeko-Tex certified cotton fabric, with pearl grey background and a glossy finish. Decorate your home or make accessories with this countryside style coated cotton. 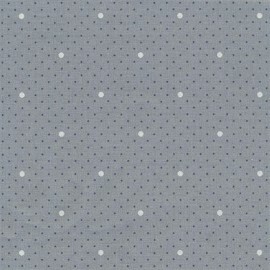 Very nice Dottie Dot coated fabric with white and grey dots. Fall for this beautiful Oeko-Tex certified cotton fabric, with dusty blue background and a glossy finish. Decorate your home or make accessories with this countryside style coated cotton. 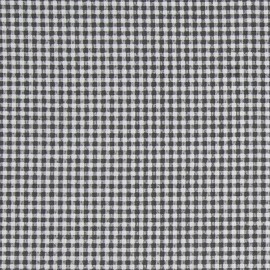 Very nice Pepita coated fabric with black and white gingham pattern. Fall for this beautiful Oeko-Tex certified cotton fabric, with a glossy finish. Decorate your home or make accessories with this countryside style coated cotton. 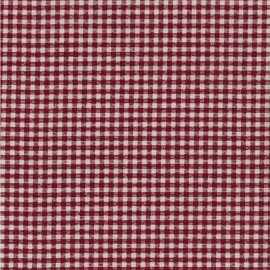 Very nice Pepita coated fabric with red and white gingham pattern. 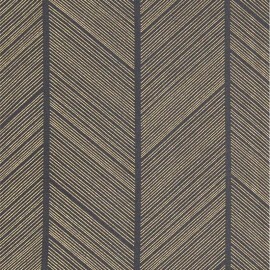 Fall for this beautiful Oeko-Tex certified cotton fabric, with a glossy finish. Decorate your home or make accessories with this countryside style coated cotton. Very nice Wisteria coated fabric with floral motifs on a eucalyptus green background. Fall for this beautiful Oeko-Tex certified cotton fabric, with a glossy finish. With this elegant small flowers, it will be your best ally for all your projects for the home. Very nice Wisteria coated fabric with floral motifs on a eggplant background. Fall for this beautiful Oeko-Tex certified cotton fabric, with a glossy finish. With this elegant small flowers, it will be your best ally for all your projects for the home. 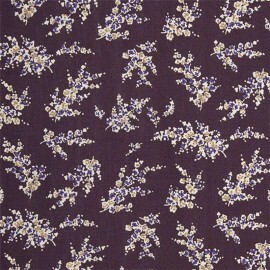 Very nice Wisteria coated fabric with floral motifs on a twilight blue background. Fall for this beautiful Oeko-Tex certified cotton fabric, with a glossy finish. With this elegant small flowers, it will be your best ally for all your projects for the home. 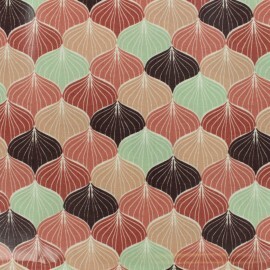 Return in the atmosphere of the 20's with this 100% cotton coated fabric, definitely Art Deco. Discover New-York from the top of the famous Chrysler Building, symbol of the Art Deco style ! Now, Broadway is yours ! 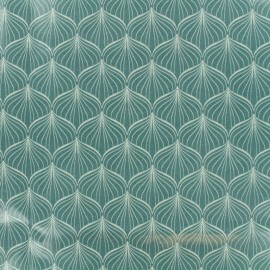 Fall for this pretty dusty turquoise Oeko-Tex cotton fabric with a glossy finish. 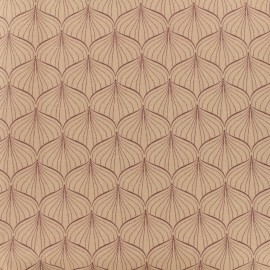 Return in the atmosphere of the 20's with this 100% cotton coated fabric, definitely Art Deco. Discover New-York from the top of the famous Chrysler Building, symbol of the Art Deco style ! Now, Broadway is yours ! 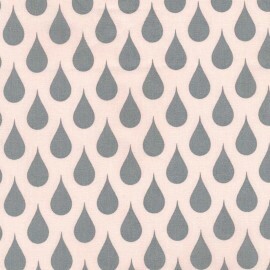 Fall for this pretty misty rose Oeko-Tex cotton fabric with a glossy finish. 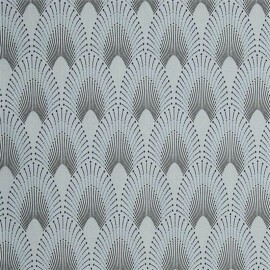 Return in the atmosphere of the 20's with this 100% cotton coated fabric, definitely Art Deco. Discover New-York from the top of the famous Chrysler Building, symbol of the Art Deco style ! Now, Broadway is yours ! 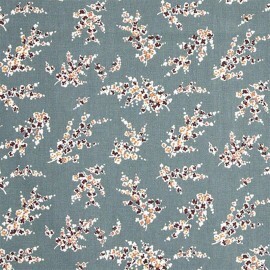 Fall for this pretty grey and blue Oeko-Tex cotton fabric with a glossy finish. 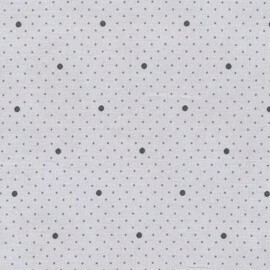 Pretty Bobbi coated fabric with delicate dot pattern. Fall for this nice old pink cotton fabric with a glossy finish. It will be your best ally of your home projects. 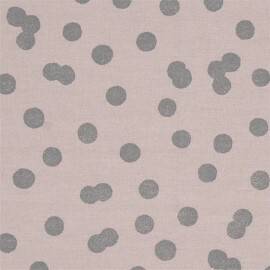 Pretty Bobbi coated fabric with delicate dot pattern. 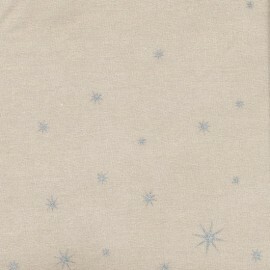 Fall for this nice dusty blue cotton fabric with a glossy finish. It will be your best ally of your home projects. 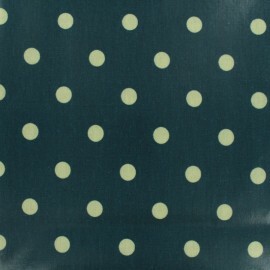 Pretty 100% cotton Bobbi coated fabric with delicate dot pattern. 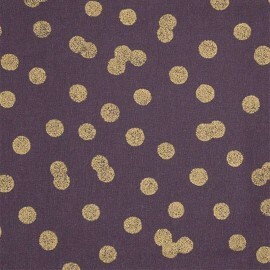 Fall for this nice eggplant and gold fabric with a matte finish. With its antislip side, it will be your best ally of your home projects. 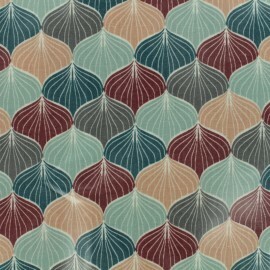 Pretty 100% cotton coated fabric with a delicate herringbone pattern. 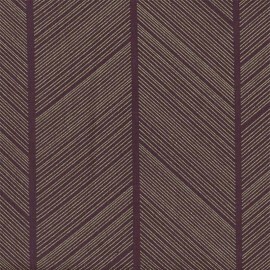 Fall for this nice burgundy and gold fabric with a matte finish. With its antislip side, it will be your best ally of your home projects. 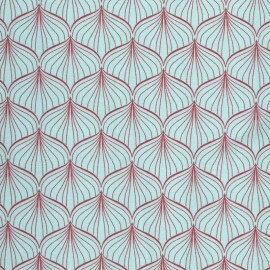 Pretty 100% cotton coated fabric with a delicate herringbone pattern. 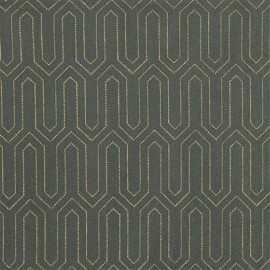 Fall for this nice charcoal grey and gold fabric with a matte finish. With its antislip side, it will be your best ally of your home projects. 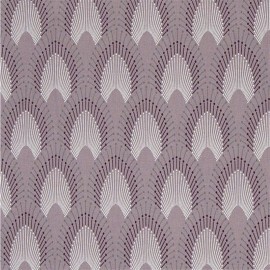 Return in the atmosphere of the 20's with this 100% cotton coated fabric, definitely Art Deco. Discover New-York from the top of the famous Chrysler Building, symbol of the Art Deco style ! Now, Broadway is yours ! Fall for this pretty khaki green and gold fabric with a matte finish. With its antislip side, it will be your best ally of your home projects. Choose our oilcloth upholstery fabrics and sew unique pieces! Discover our Alli multi green oilcloth fabric. Choose our cotton coated upholstery fabrics and sew unique pieces! 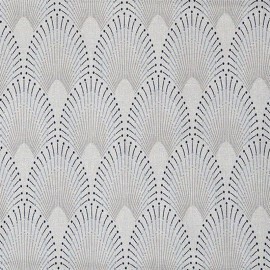 Discover our Alli grey Oeko-Tex fabric. Choose our cotton coated upholstery fabrics and sew unique pieces! Discover our Alli multi pink Oeko-Tex fabric. Choose our oilcloth upholstery fabrics and sew unique pieces! Discover our Alli multi pink oilcloth fabric. Choose our oilcloth upholstery fabrics and sew unique pieces! 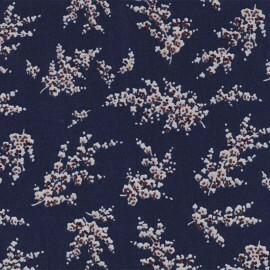 Discover our Alli multi blue oilcloth fabric. Choose our oilcloth upholstery fabrics and sew unique pieces! 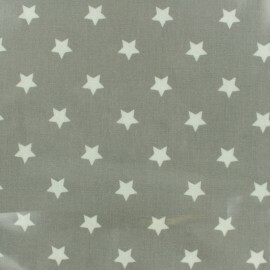 Discover our Big Star grey oilcloth fabric. Choose our oilcloth upholstery fabrics and sew unique pieces! 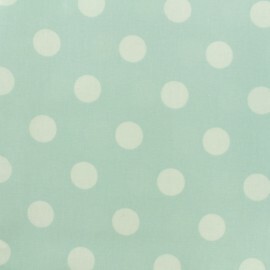 Discover our Big Dot petrol blue oilcloth fabric. Choose our oilcloth upholstery fabrics and sew unique pieces! 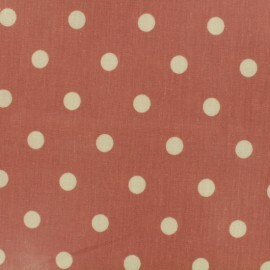 Discover our Big Dot canyon pink oilcloth fabric. Choose our oilcloth upholstery fabrics and sew unique pieces! 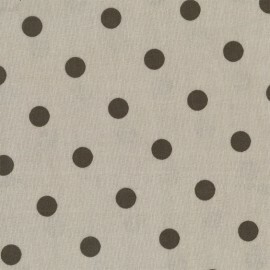 Discover our Giant Dot oilcloth fabric.